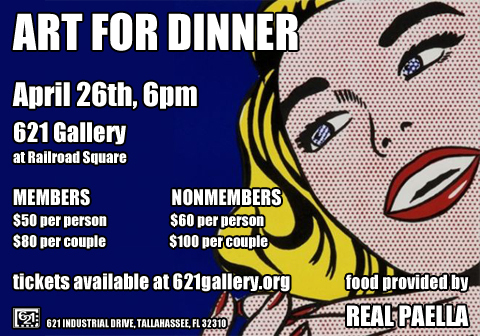 April 26th, 6:00pm: Art For Dinner, the entertaining annual dinner benefit for 621 Gallery! Food will be provided by REAL PAELLA. For more information, contact Cynthia Hollis at 621galleryinc@gmail.com or 224-6163.